There's good reason that the 'deer in the headlights' expression is such a common one. 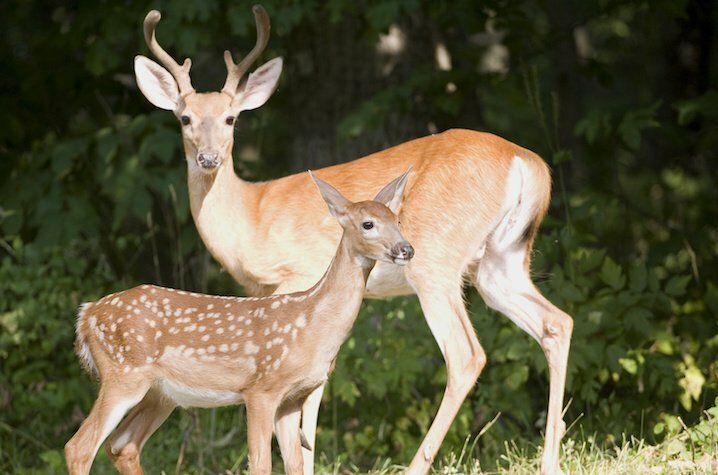 Run-ins between deer and automobiles sadly happen all the time. What isn't so common, is when those headlights are replaced by the landing and navigation lights of an aircraft. But that's exactly what happened in a small Alberta airport Tuesday. As an incoming Sunwest Aviation Dash 8 plane descended upon the runway at the MEG Energy Christina Lake Aerodome, located just east of the Conklin Airport, it was met with two deer, who were tragically killed by the vehicle on impact. None of the 43 passengers, who were being flown in to do oilsands work, or any of the plane's four crew members, were injured in the crash. However, the incident did cause the airstrip to be shut down for 24 hours, making time for the Transportation Safety Board of Canada to assess the situation. Though it is a fairly unusual incident, pilots who frequent Alberta destinations have seen or heard of similar events unfolding. "We've had bird strikes, quite a few gopher strikes. We've actually had a coyote strike, as well," said Larry Stock, airport manager at Springbank Airport, located just west of Calgary. Prevention of these sorts of incidents is difficult. As Sunwing representative Mike Gocal explains, the pilots had little time to adjust once they were aware of the deer. "They saw them at the very last moment, but it was too late to take any evasive manoeuvre," said Gocal. "We're working with the airport authority up there to prevent a recurrence, by working with them on improving their wildlife mitigation prevention program."